Wheeler, currently the Mets’ sixth starter, is a possibility for a relief role. 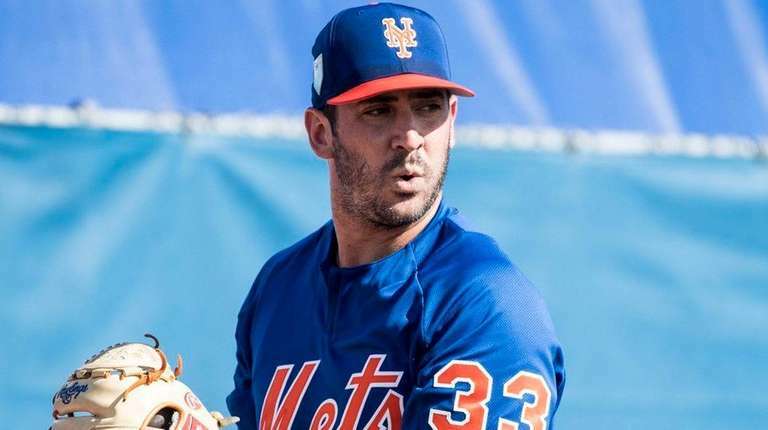 WEST PALM BEACH, Fla. — The Mets announced that Matt Harvey will make his Grapefruit League debut Wednesday against the Braves at Disney, but perhaps the more interesting pitching assignment will be the person who follows him: Zack Wheeler. The Mets are debating what to do with Wheeler, who sits at No. 6 on the rotation depth chart, as long as the other starters remain healthy. While Mickey Callaway said last week that Wheeler “definitely is a starter,” and he got the nod for the Mets’ opener last Friday, having him relieve Harvey — even for a Grapefruit game — will give team officials a chance to see how he performs out of the bullpen. Pitching in relief involves different preparation, and if the Mets want to push that role on Wheeler, it probably wouldn’t hurt to give him a chance early, if possible. Callaway explained after Monday’s 8-7 loss to the Astros that Wheeler was merely “piggy-backing” with Harvey because he’s lined up to pitch on the same day and the Mets don’t have a minor-league game for him to start. The Mets don’t have an infield job for him, but Gavin Cecchini, the team’s No. 12 pick overall in the 2012 draft, sounds anxious for a shot at the majors. Cecchini hit a two-run homer Monday after spelling Wilmer Flores at second base, then credited hitting coach Pat Roessler for helping him hone his swing during the winter. Cecchini hit .217 (18-for-83) for the Mets in 36 games the past two years, and has a slash line of .283/.348/.395 in six minor-league seasons. Jay Bruce (plantar fasciitis) is expected to debut Tuesday at DH against the Astros at First Data . . . Dominic Smith (right quad strain) is “day-to-day,” according to Callaway, but he also had a big wrap on his left ankle Monday morning, which is new . . . The Mets signed righthander A.J. Griffin, who was 6-6 with a 5.94 ERA in 15 starts and three relief appearances last season for the Rangers.